Zahra Rahnavard, an Iranian opposition leader who has been under house arrest since February 2011, has declined an unofficial offer for some of the restrictions on her to be lifted, demanding that she and fellow opposition leaders under house arrest-Mir Hossein Mousavi and Mehdi Karroubi-be freed together and unconditionally. 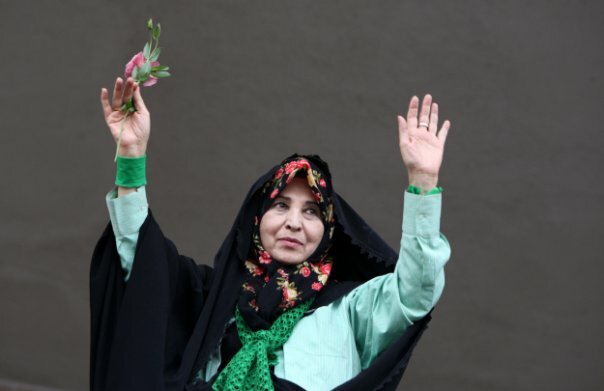 Quoted by the Kalame opposition news site on May 6, 2018, Rahnavard denied some Iranian media reports that she had been allowed to freely leave and enter her home in Tehran, which she has been confined to with her husband, Mousavi, in total isolation and under 24/7 surveillance by state security forces for more than seven years. "I have not been informed, verbally or in writing, that the house arrest has ended. 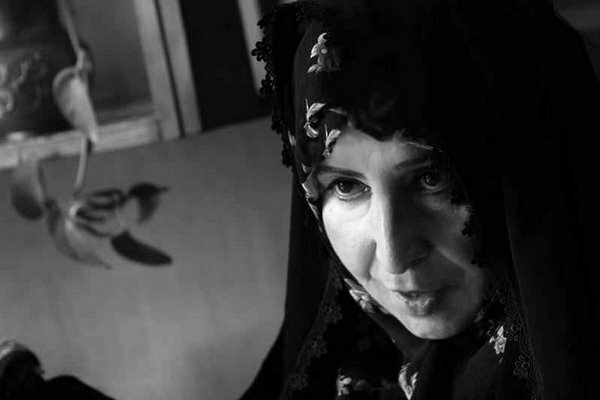 I have not been freed," said the 72-year-old grandmother. "I will not accept an end to the house arrest for myself without the same for Mousavi and Karroubi." Rahnavard, Mousavi and Karroubi were put under house arrest without trial in 2011 for leading the mass protests against the disputed result of Iran's widely contested 2009 presidential election. Mousavi and Karroubi had run in that year's election against then-President Mahmoud Ahmadinejad. The Green Movement grew out of those protests, which were violently repressed by the state. To this day, journalists are prohibited from mentioning the Green Movement, which state officials refer to as the "sedition." "A few days ago, Intelligence Ministry agents showed up at our place of house arrest and informed me that I could go to my relatives' home in Mashhad [northeastern Iran]," said Rahnavard. "I asked, could I go to the university or similar places and carry out artistic, political, or social activities like a free citizen?" she added. "They said, 'No. You can only have limited movement. You have not been freed.'" 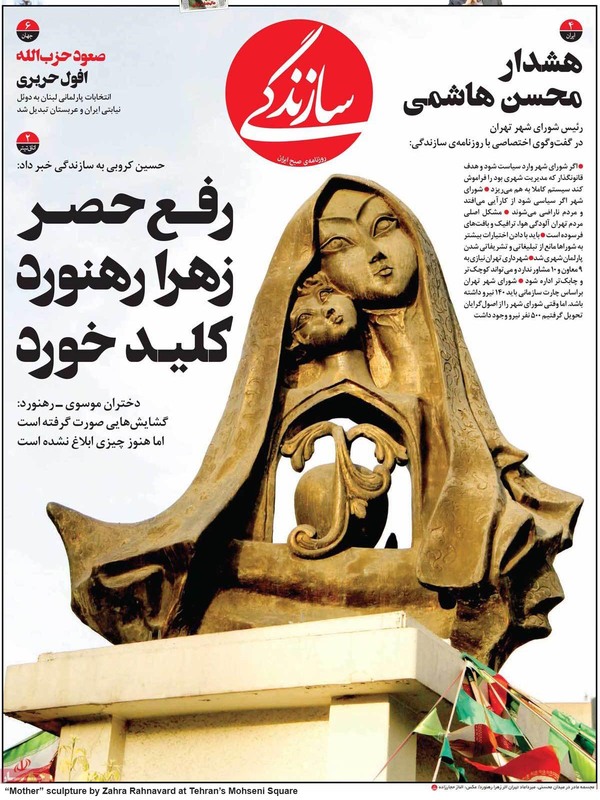 Claims regarding Rahnavard's alleged freedom first appeared in the Etemad newspaper on May 6, which published an interview with Esmail Dousti, a senior member of the reformist National Trust Party, in which he said that she had been allowed to "come and go." "Ms. Rahnavard's issues have been resolved and she is no longer under house arrest," Dousti told the newspaper after reportedly meeting with Karroubi at his home. "Her movements have normalized and she can come and go." "Based on this development, I believe that the house arrest situation is moving in a better direction," he added. On May 6, Member of Parliament Ghasem Mirzaei-Nikou also said that restrictions had been relaxed before the Iranian New Year (beginning on March 21, 2018), but that she had refused to leave her house. "Since before the New Year, Mr. Mousavi's daughters and direct family members have been able to enter and leave the house and Ms. Rahnavard can leave any time she wishes," he said. On May 6, Rahnavard's daughters told Kalame that they had been able to visit their parents in their home with greater ease but that they were still confined to their home with 24/7 state surveillance. "There have been some openings in contacts and meetings with our parents... but they are still banned from meeting whomever they like and cannot resume personal and social activities... Freedom means that our outside door should not be locked; it means our home should not be partly occupied by agents, which it is," said the daughters in a statement to Etemad. Kalame did not report which daughters-Narges, Zahra and Kokab-participated in the interview. Echoing the sentiments of hardliners, Mojtaba Zolnour, a conservative member of the Parliamentary Committee on National Security and Foreign Policy, said the opposition leaders should stay under house arrest. "I have not seen the leaders of the sedition publicly apologize for their past, and until that happens, the house arrests should continue," he said in an interview on May 7. But not all conservatives hold hardline views on the house arrests. Commenting on the development, Deputy Parliament Speaker Ali Motahari, a long-time conservative proponent of ending the house arrests, said freeing Rahnavard, Mousavi and Karroubi would serve national security interests. "In order to strengthen national solidarity, it's necessary to terminate the house arrests," he said in a speech during an open parliamentary session on May 6. "Today our country is in a difficult situation because of the mischievous acts of America and that fake country, Israel. The need for harmony and national solidarity has risen exponentially."